The Spiritual path is a process of purifying practices that peel back the veils of the mind. The aim to align us with our heart through an inner listening + remind us of our strength and the power we each hold to access our intrinsic states of freedom, joy and calm. They focus and channel our attention, thoughts + actions so we can live with greater flow, in alignment with our values and tap into our greatest potential. And although many aspects become easier over time, it’s constant effort and intention to stay rooted in our higher Self. And inevitably we will make mistakes and forget our true nature. We will fall back into old patterns and behaviors. We may find ourselves in situations that don’t feel right, or become physically sick as our bodies try to tell us what we ignored. And eventually (once we’ve had enough) a flash of clarity will come and call us back to the path. Our deepest desire for alchemy and freedom will overrule and guide us to our studentship. These are the times when we crave space to quiet the noise of our busy lives, and need to focus fully on ourselves. 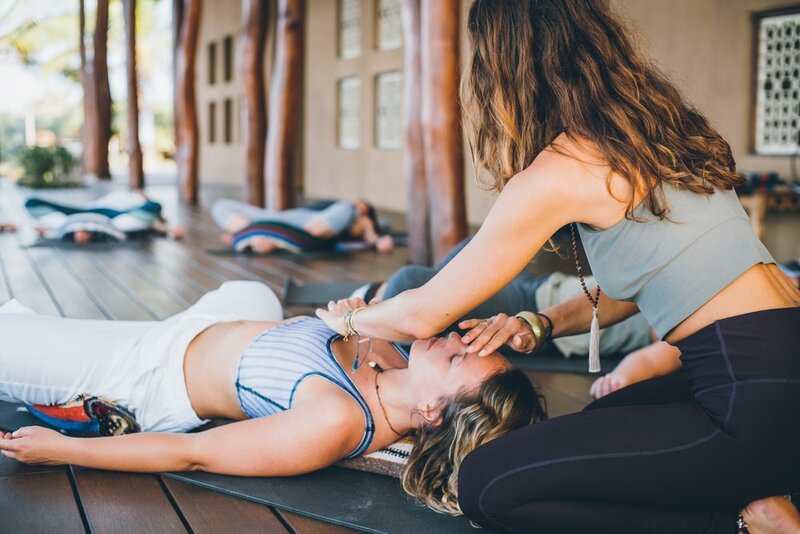 Our hearts know what our minds are often late to recognize - and will gently remind us that no matter how far we’ve strayed, our yoga practice begins again here and now, and that each day is an opportunity to start fresh. We know that our growth and the goodness we share in the world comes from the consistency and dedication to our own self-care. The fire inside us always burns bright with passion and will humbly acknowledge when we are ready to step into the next phase of our evolution and to ignite our Soul. Our only job is to listen and trust. When we attune and follow the yearning, our receptivity is rewarded...layers are shed...patterns and traumas released...stagnancy is shaken up and allows for connection and integration to move through our body/mind...clarity arises and desires are formed...and contentment and gratitude move freely through our heart. Saying yes to life is living with your arms wide open. It's a word that contains the possibility for magic to rise from. It doesn't mean we say yes to a person or project we don't feel aligned with - we must practice discernment so we can say yes with clarity and courage to follow the things that sets our soul on fire. It's about trusting in the goodness of life - the unconditional opportunities and abundance. It requires us to accept all aspects of life - without rejection or fear of the places that are uncomfortable or unknown. When we live from this space, we welcome the ebb of flow of our existence - we can be fully aware and engaged, yet maintain a healthy and expansive perspective, knowing that all things flow within a natural state of expansion and contraction. This is a moment to moment practice of welcoming in the flow of Shakti, or the creative power and force of life within and all around us. Awakening Shakti brings us deeper into our connection to that which is higher than ourselves, so we may see life as a Divine lesson, guiding and teaching us all that we need to know, in order to help us realise our potential. For too long I stayed small, in fear of the life I could live and who I could be. I denied myself of my power and heart truths by ignoring the inner voice of intuition, which so clearly knew I would carve my own path.